Is it privacy that you’re looking for? Do you desire to create a firm boundary between you and your nosy neighbors? Maybe you’re just going for curb appeal? Whatever reason lies behind your fencing needs, we can assist you in bringing your vision to life with functionality, durability, and aesthetics rolled into one! 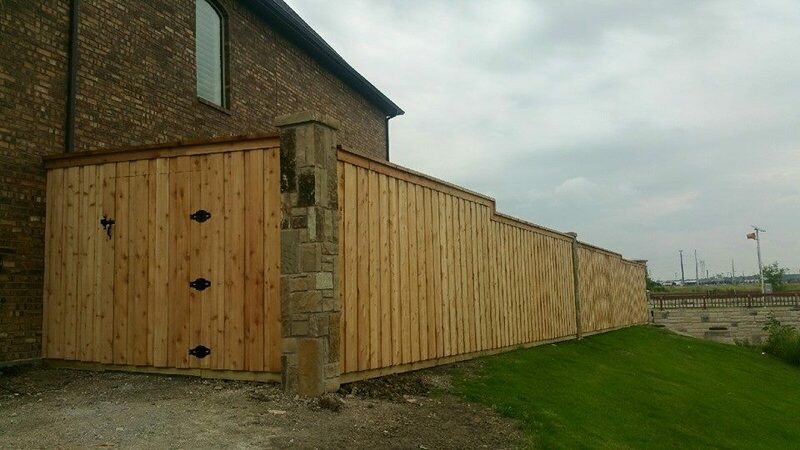 Whether it’s updating an existing structure or starting from scratch, we specialize in building custom wood fences and professional fence staining. It is important that your fence is structurally sound and built to last. Maybe you need to keep your young children or pets safely within an enclosed space. Starr Exteriors can help you find a solution to meet your needs.In addition to exceptional customer service, our professionally built fences will leave you very pleased with our attention to detail. As you consider your fencing needs, remember that Starr Exteriors has an A+ BBB rating, and we know how to do the job right the first time! We provide honest and quality workmanship to the DFW area. Call Starr Exteriors today!